02.29.08 The 2008 Maine Scholastic Chess Championship Season kicks off this weekend with two tournaments. 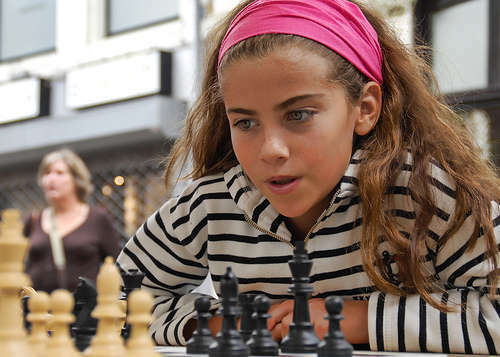 The All Girls State Championship, the event that selects one girl to participate in the Susan Polgar National Invitational for Girls tournament later this year, will take place on Saturday, March 1st at the University of Maine, Orono. The Southwestern Maine Scholastic Chess Championship, also played on Saturday, will again be hosted by Cheverus High School in Portland. Here are the details including registration information. The All Girls Tournament and the Southwestern Championship have been cancelled due to snow. Both have been rescheduled to March 15th. The All Girls Tournament has been cancelled due to snow. It has been rescheduled to March 15th. The Southwestern Championship has been cancelled due to snow. It has been rescheduled to March 15th.